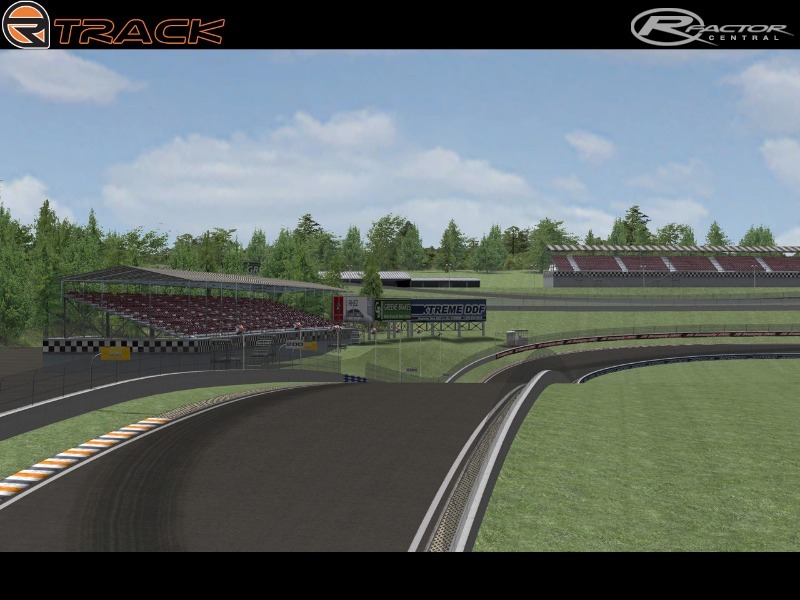 This is the first track that we will be releasing for rFactor. This track idea came about whilst chatting with my good friend Tyson (FastEddieWoe) one night long into the wee hours after we had just made a purchase of Bob's Track Builder. 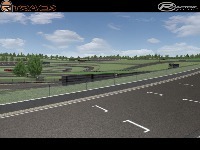 After some time poking around in our new toy we imported a background image of the rFactor logo and set about laying a track surface over the top of it ... it all started out as a simple learning experience using BTB and simply progressed on from there. We've redone alot of the track from our first build since the terrain support was added to BTB. 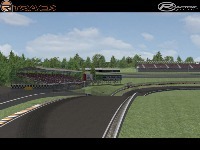 We have opted to use exsisting rFactor bits from various tracks included with the game to fill the track out due to both of us not having any real good max / moddeling experience. There will be a V2.0 release in the future which will be 100% scratch built and updated with the upcoming release of BTB. We are not putting a estimated time line or date on it but it will come when its ready. Enjoy the track as it is for now and thanks for all the comments / feedback which will go towards the future release. 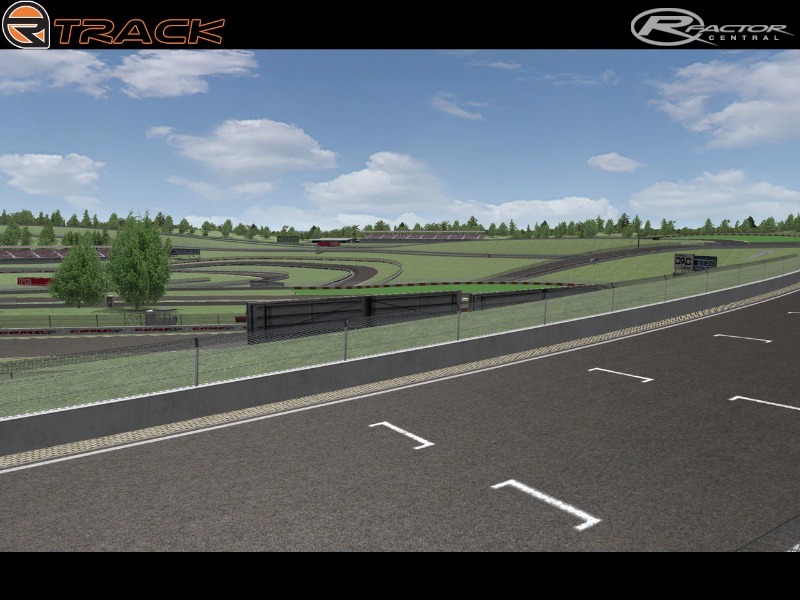 There are currently no setups for rTrack. Add a Setup. Unfortunately NO this can not be converted to another sim as all the buildings are from ISI tracks. 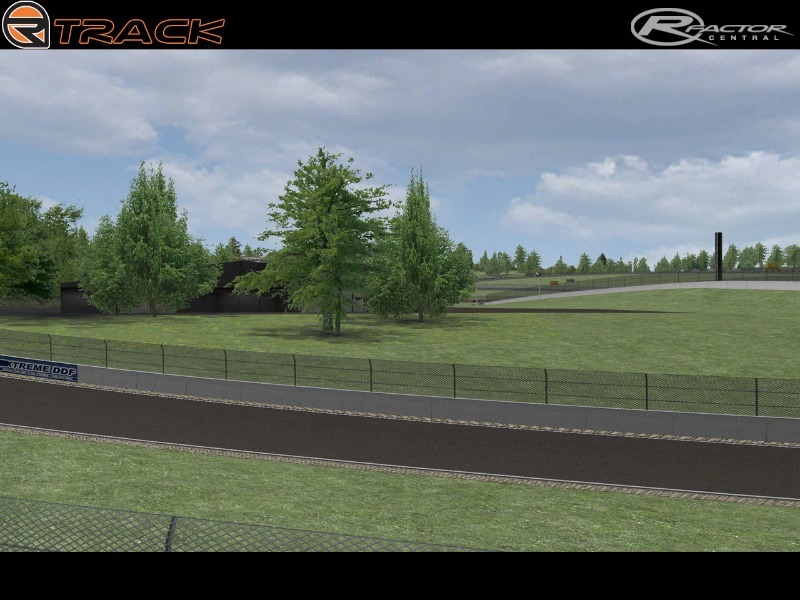 I am currently working on updating the track with non ISI models. No ETA on release but it will be a wile. And BTW nice track I was wondering if i could get some of my friends in and convert this to GTR evo? what is the care on the pictures... so it's bmw!! but I don't know the model!! 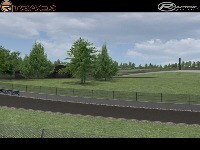 Bobs Track Builder and 3DSimEd were used to make rTrack. Buildings were taken from ISI tracks. bob's track builder.........or 3dstudio v8. BTB is £30? 3DS £3500? But i mean a track from the start also. What program must i buy for this?